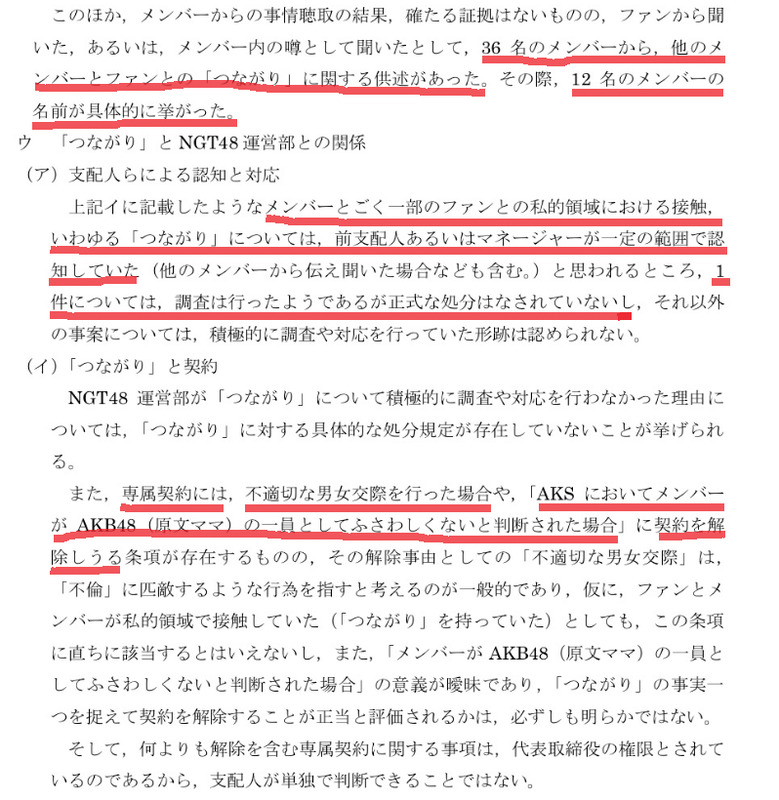 AKS through NGT48 site releases statement over the results of third party investigation as they "doing things" for the past month to "investigating" the assault incident happened to Yamaguchi Maho in December last year. 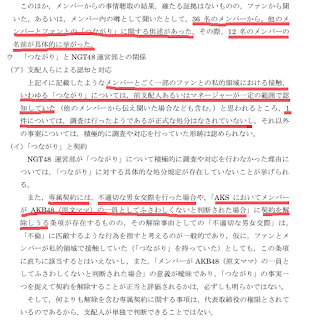 → No members were involved, despite Mahohon said some members involved. Management previously admit that some members did indeed have a private relationship with fans. 36 members have claimed that at least 12 members are connected to fans “in private”. Previous manager has known about this situation, but only one case has been investigated. There is no official penalty imposed on this case. → Identified the shortcoming of operational team who haven't provided a clear operational guidance for staff and members. Case closed. From Proud of Niigata into Niigata's shame.